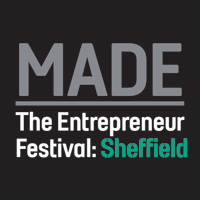 Thousands of small firms and would-be business owners are heading to Sheffield this week to attend MADE: The Entrepreneur Festival. The packed schedule at the UK’s biggest entrepreneur event includes presentations by some of the leading names from the worlds of business and motivation. * Yasmina Siadatan, winner of the 5th series of The Apprentice. The above and other star speakers will be revealing top tips and strategies on how to succeed in business at the two-day event at Sheffield City Hall on 24th and 25th September. MADE kicks off with a train departure from London St Pancras to Sheffield on Wednesday 24 September, with a photo call of VIPs with the ‘Entrepreneur’s Express’ on the platform at 09:30. The first day then sees an opening speech by Lee Perkins (MD of the Start-up and Small Business Division at Sage) and a major presentation from Paul McKenna. On the second day, as well as the star speakers, a senior government minister will be making a keynote address at the festival, which a total of more than 3,000 delegates are expected to attend. The wider MADE festival also includes numerous specialist fringe events from 22-26 September, including the free ‘Start your business with Sage One‘ event at Electric Works on Friday 26th September, featuring small business champions Tina Boden and Tony Robinson OBE of Enterprise Rockers and motivational speaker Brad Burton (4Networking). The festival is being organised by business services provider BE Group under licence from Sheffield City Council, with Sage – the UK’s biggest small business software provider as Headline Sponsor, and law firm Irwin Mitchell, Sheffield Hallam University, the University of Sheffield and Sheffield College all key partners. Find out more at www.madefestival.com and follow all the action on Twitter via the #MADE2014 hashtag.